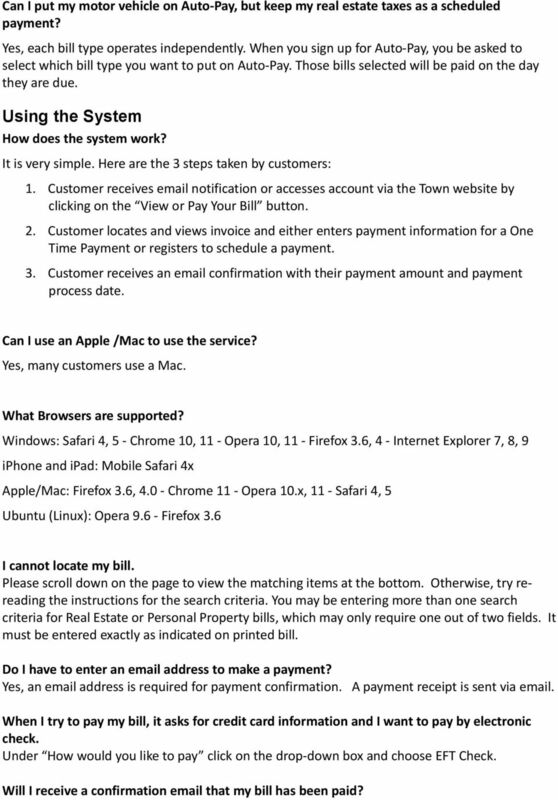 Download "Online Presentment and Payment FAQ s"
1 Online Presentment and Payment FAQ s General What are some of the benefits of receiving my bill electronically? It is convenient, saves time, reduces errors, allows you to receive bills anywhere at any time and helps the environment by saving trees. You can continue to receive a paper bill, but if you elect to go paperless, you can always print out a copy of the invoice if needed. What are the benefits of paying a bill online? Paying online with a credit card or electronic check saves time, gives you the flexibility to pay how and when desired, and saves money (no more stamps, paper checks or envelopes), and Invoice Cloud will store your information for future use but only if you choose to store it. What is Invoice Cloud? Invoice Cloud is a web-based, electronic invoice presentment and payment company that we have partnered with to provide faster, more convenient billing services to our customers. By automating billing and collections, customers can click and pay online while helping the environment and reducing clutter in their home or workspace. 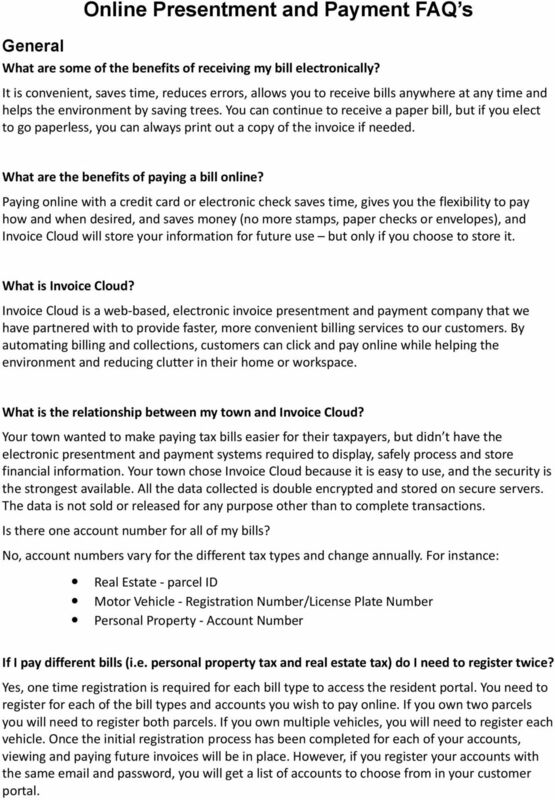 What is the relationship between my town and Invoice Cloud? Your town wanted to make paying tax bills easier for their taxpayers, but didn t have the electronic presentment and payment systems required to display, safely process and store financial information. Your town chose Invoice Cloud because it is easy to use, and the security is the strongest available. All the data collected is double encrypted and stored on secure servers. The data is not sold or released for any purpose other than to complete transactions. Is there one account number for all of my bills? No, account numbers vary for the different tax types and change annually. For instance: Real Estate - parcel ID Motor Vehicle - Registration Number/License Plate Number Personal Property - Account Number If I pay different bills (i.e. personal property tax and real estate tax) do I need to register twice? Yes, one time registration is required for each bill type to access the resident portal. You need to register for each of the bill types and accounts you wish to pay online. If you own two parcels you will need to register both parcels. If you own multiple vehicles, you will need to register each vehicle. Once the initial registration process has been completed for each of your accounts, viewing and paying future invoices will be in place. However, if you register your accounts with the same and password, you will get a list of accounts to choose from in your customer portal. 2 Can I put my motor vehicle on Auto-Pay, but keep my real estate taxes as a scheduled payment? Yes, each bill type operates independently. 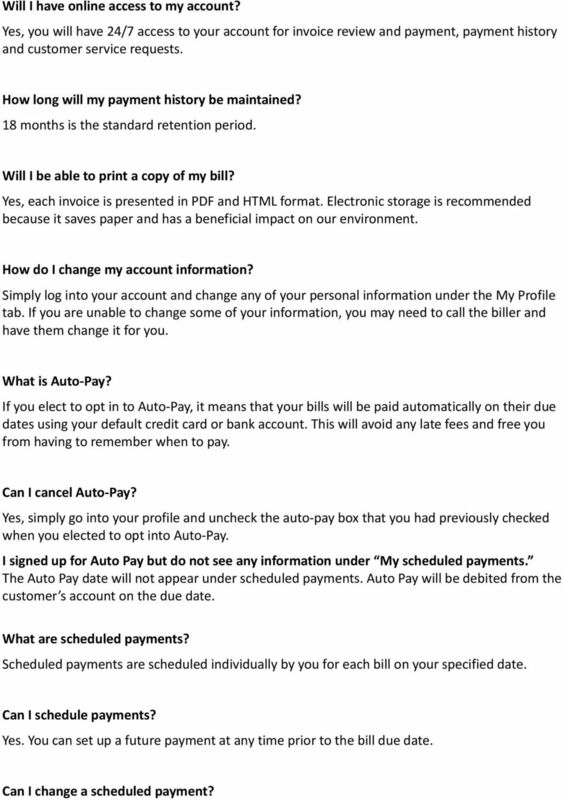 When you sign up for Auto-Pay, you be asked to select which bill type you want to put on Auto-Pay. Those bills selected will be paid on the day they are due. Using the System How does the system work? It is very simple. Here are the 3 steps taken by customers: 1. 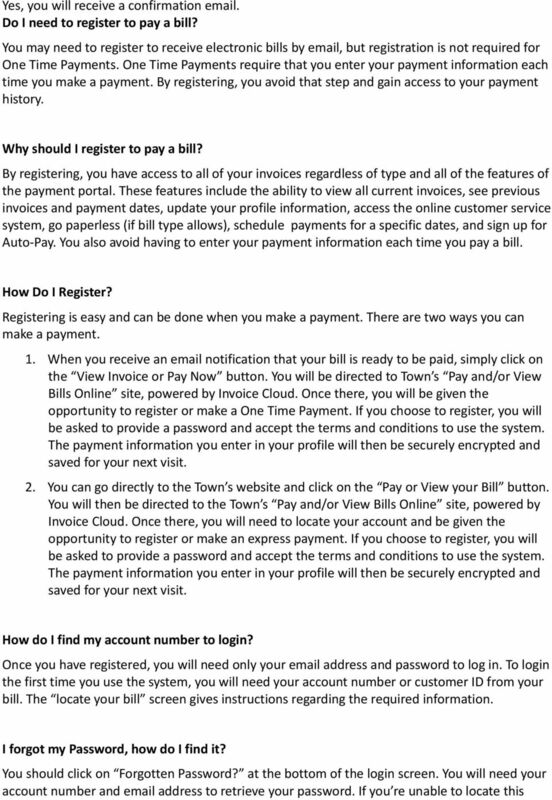 Customer receives notification or accesses account via the Town website by clicking on the View or Pay Your Bill button. 2. Customer locates and views invoice and either enters payment information for a One Time Payment or registers to schedule a payment. 3. Customer receives an confirmation with their payment amount and payment process date. Can I use an Apple /Mac to use the service? Yes, many customers use a Mac. What Browsers are supported? Windows: Safari 4, 5 - Chrome 10, 11 - Opera 10, 11 - Firefox 3.6, 4 - Internet Explorer 7, 8, 9 iphone and ipad: Mobile Safari 4x Apple/Mac: Firefox 3.6, Chrome 11 - Opera 10.x, 11 - Safari 4, 5 Ubuntu (Linux): Opera Firefox 3.6 I cannot locate my bill. Please scroll down on the page to view the matching items at the bottom. Otherwise, try rereading the instructions for the search criteria. You may be entering more than one search criteria for Real Estate or Personal Property bills, which may only require one out of two fields. It must be entered exactly as indicated on printed bill. Do I have to enter an address to make a payment? Yes, an address is required for payment confirmation. A payment receipt is sent via . When I try to pay my bill, it asks for credit card information and I want to pay by electronic check. Under How would you like to pay click on the drop-down box and choose EFT Check. Will I receive a confirmation that my bill has been paid? 4 information, you may call the Biller, and after verifying your identity, the Biller can provide you with the information. Can more than one person pay bills online for the same account? There are two ways that payment responsibilities can be shared. If the other payer is part of your household, you may choose to share your login information with that individual. In a situation where personal financial data is not shared, you may forward your notification to the individual, who will then click on the View or Pay Now button and elect to make an express pay payment. They will need to enter their name, address, address and payment information. They will receive the payment confirmation. You can verify their payment by viewing the invoices in your account. Payment What forms of payment can I use? You can pay by credit or debit card or you may issue an electronic check from your bank account (checking or savings). Credit cards that are eligible are MasterCard, VISA, Discover, and American Express. Can I still send in a paper check? Yes, your bill can be paid in any of the following ways: notification based payment click the View invoice or Pay Now button in your Web based online payment login to online bill pay via your biller website Phone payments call your biller s office Paper check sent by whatever means you choose, including US Postal Service (note: many paper checks today are converted into electronic transactions once they are received by the biller). What is a service or convenience fee? A non-refundable fee added to an invoice to cover various administrative costs associated with billing and accepting payment. If I don t have can I still process an electronic payment? No, to complete the online payment process, you will need an address so that the system can deliver your payment confirmation. If you do not have an address, you can obtain a free account from any of the following services: yahoo.com, hotmail.com, or gmail.com. Which bills can I pay online? You can pay current real estate, personal property, and motor vehicle tax. 5 What are the costs for paying online? There are no signup costs or subscription fees. The non-refundable convenience fee when using an ACH transfer (electronic check) from your checking or savings account is $1.95 per transaction. The non-refundable convenience fee when using credit cards is 2.95%. The convenience fee is automatically calculated based upon the dollar amount of the bill being paid and is shown on the payment page before you submit your payment for processing. There are fees imposed by Invoice Cloud for returned payments, and your bank may charge you a fee based on the bank's fee schedule. 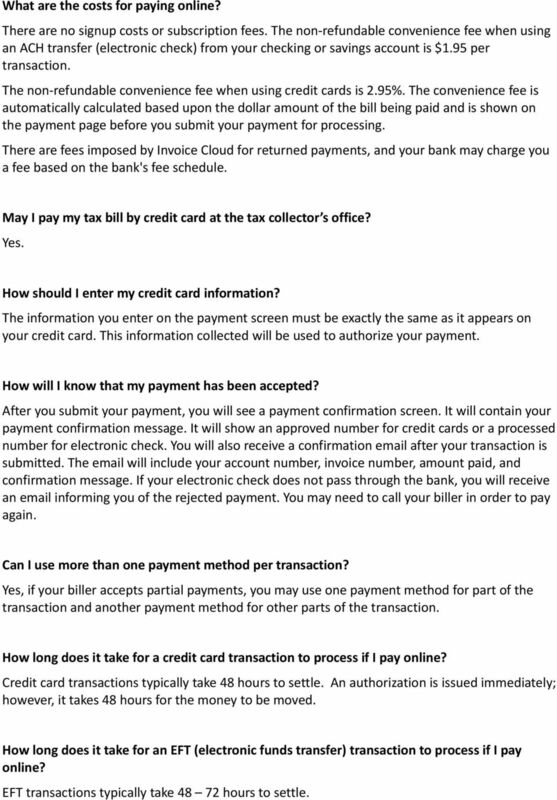 May I pay my tax bill by credit card at the tax collector s office? Yes. How should I enter my credit card information? The information you enter on the payment screen must be exactly the same as it appears on your credit card. This information collected will be used to authorize your payment. How will I know that my payment has been accepted? After you submit your payment, you will see a payment confirmation screen. It will contain your payment confirmation message. It will show an approved number for credit cards or a processed number for electronic check. You will also receive a confirmation after your transaction is submitted. The will include your account number, invoice number, amount paid, and confirmation message. If your electronic check does not pass through the bank, you will receive an informing you of the rejected payment. You may need to call your biller in order to pay again. Can I use more than one payment method per transaction? Yes, if your biller accepts partial payments, you may use one payment method for part of the transaction and another payment method for other parts of the transaction. How long does it take for a credit card transaction to process if I pay online? Credit card transactions typically take 48 hours to settle. An authorization is issued immediately; however, it takes 48 hours for the money to be moved. How long does it take for an EFT (electronic funds transfer) transaction to process if I pay online? EFT transactions typically take hours to settle. 6 How much does paying online help the environment? Paying online is only half of the benefit, by going paperless and not receiving paper invoices, you can increase the effect you can have on the environment. There are several ways reducing paper consumption helps the environment, including saving trees and using less gas. According to the PayItGreen AllianceTM, if one in five households were to switch to electronic payments, statements and bills, we could collectively save 1.8 million trees each year and avoid using 103 million gallons of gasoline to mail bills, statements, and payments. If you d like to be part of that one in five, just sign up to go paperless in your account under my profile, paperless options. Do I need to notify my bank or change bank accounts? No, your current bank account (checking or savings) will work fine. So many payments are made electronically now that banks are already prepared for online payments. However, if you have arranged through your bank to automatically pay your bill, you need to contact your bank and discontinue the automated payment, otherwise you may pay your bill twice. 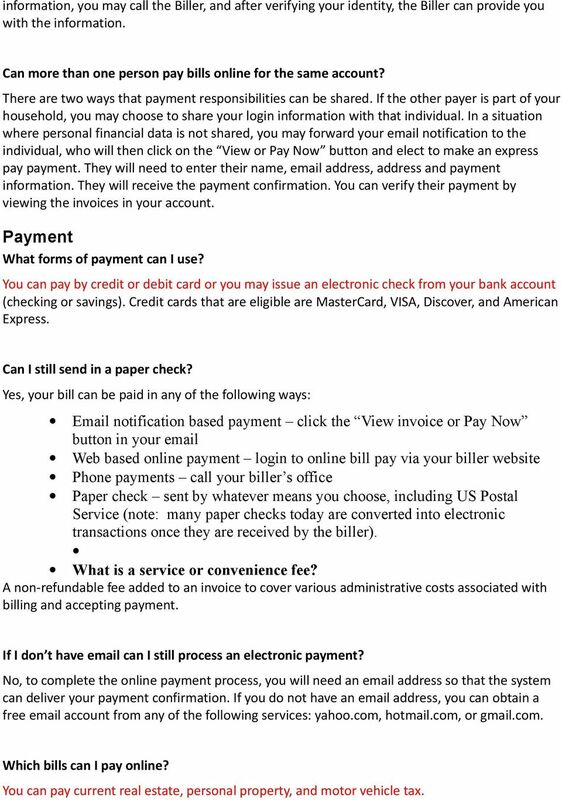 What information do I need to make a payment? If you are registered, the only information you need to have available to complete a payment transaction is your address and password. If you make a One Time Payment, then you will also need your bank account or credit card information and your account number. When can I pay? You can make payment or review your account 24 hours a day, 7 days a week. It is always a good idea to pay or schedule a payment at least few days before the due date to allow for processing time. 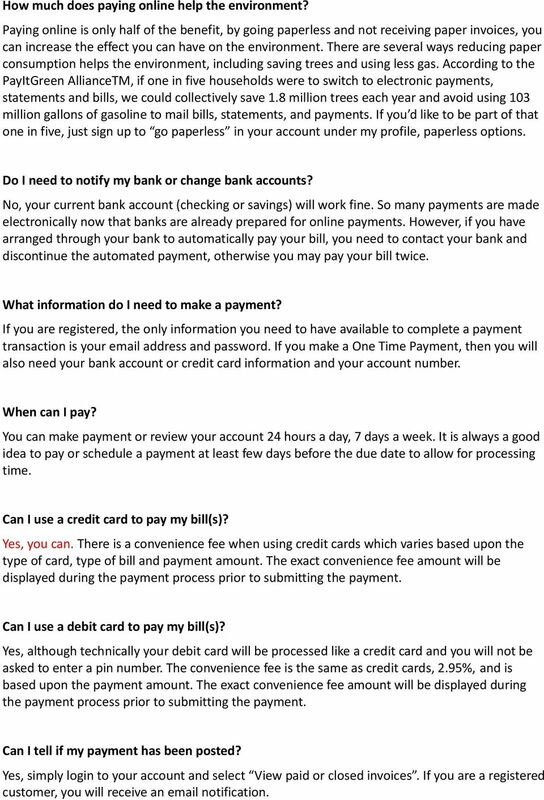 Can I use a credit card to pay my bill(s)? Yes, you can. There is a convenience fee when using credit cards which varies based upon the type of card, type of bill and payment amount. The exact convenience fee amount will be displayed during the payment process prior to submitting the payment. Can I use a debit card to pay my bill(s)? Yes, although technically your debit card will be processed like a credit card and you will not be asked to enter a pin number. The convenience fee is the same as credit cards, 2.95%, and is based upon the payment amount. The exact convenience fee amount will be displayed during the payment process prior to submitting the payment. Can I tell if my payment has been posted? Yes, simply login to your account and select View paid or closed invoices. If you are a registered customer, you will receive an notification. 7 Will I have online access to my account? Yes, you will have 24/7 access to your account for invoice review and payment, payment history and customer service requests. How long will my payment history be maintained? 18 months is the standard retention period. Will I be able to print a copy of my bill? Yes, each invoice is presented in PDF and HTML format. Electronic storage is recommended because it saves paper and has a beneficial impact on our environment. How do I change my account information? Simply log into your account and change any of your personal information under the My Profile tab. If you are unable to change some of your information, you may need to call the biller and have them change it for you. What is Auto-Pay? If you elect to opt in to Auto-Pay, it means that your bills will be paid automatically on their due dates using your default credit card or bank account. This will avoid any late fees and free you from having to remember when to pay. Can I cancel Auto-Pay? Yes, simply go into your profile and uncheck the auto-pay box that you had previously checked when you elected to opt into Auto-Pay. I signed up for Auto Pay but do not see any information under My scheduled payments. The Auto Pay date will not appear under scheduled payments. Auto Pay will be debited from the customer s account on the due date. What are scheduled payments? Scheduled payments are scheduled individually by you for each bill on your specified date. Can I schedule payments? Yes. You can set up a future payment at any time prior to the bill due date. Can I change a scheduled payment? 8 Yes, as long as it is changed before the date it was scheduled to be paid. What is a partial payment? A partial payment occurs when only part of an invoice is paid and may apply if your biller has elected to allow partial payments. Please contact your biller s office for more information. I received an stating Thank you for going paperless, but I DID NOT sign up for paperless! The paperless box is generally defaulted to enroll you in paperless billing because it helps the environment. Option 1: Customer must click on Complete paperless process link within to complete enrollment. If they do not, the paperless option will not be active and will drop off system within a few days. Option 2: Customer can log into account and cancel paperless registration. Choose >My Profile>paperless option>cancel paperless registration What is the difference between auto-pay and a scheduled payment? Auto-pay is an automated process which pays your balance in full each billing cycle at 2am on the due date; scheduled payments are manually entered by you for the date you choose for each bill you choose. What if I already have auto-pay or a scheduled payment set up with my bank? You will need to contact your bank and cancel your automated or scheduled payment before the payment is due (typically payments are made a couple days in advance of the due date, so don t wait until the last minute). Why am I being charged a late fee? If you feel that this fee has been assessed in error or you would like more information about late fee charges, please contact your biller s office. Getting Help Who do I contact with questions about a bill? 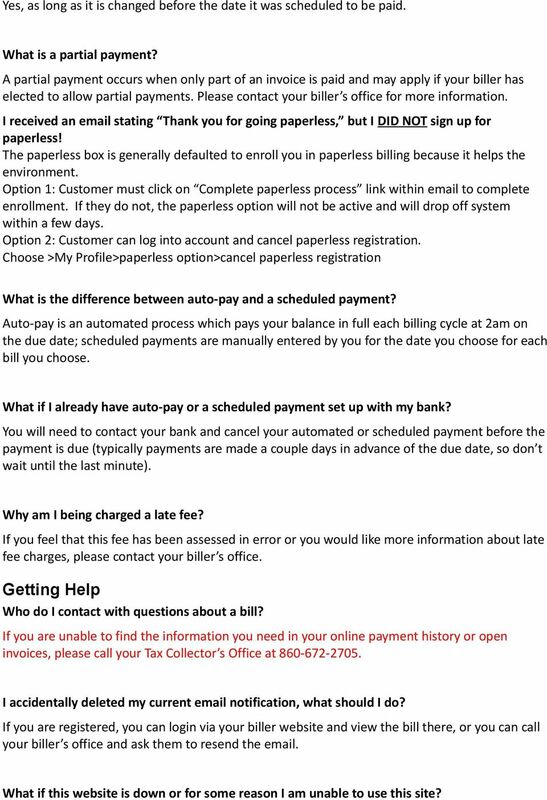 If you are unable to find the information you need in your online payment history or open invoices, please call your Tax Collector s Office at I accidentally deleted my current notification, what should I do? If you are registered, you can login via your biller website and view the bill there, or you can call your biller s office and ask them to resend the . What if this website is down or for some reason I am unable to use this site? 9 Please be aware that interest and fees will not be waived if this website is inoperable for any reason or if data entry errors occur. If the website is inoperable, payments can be made by mail, by phone in some locations or at the Tax Collector s Office. If I have additional questions or I am having trouble registering, who should I call? 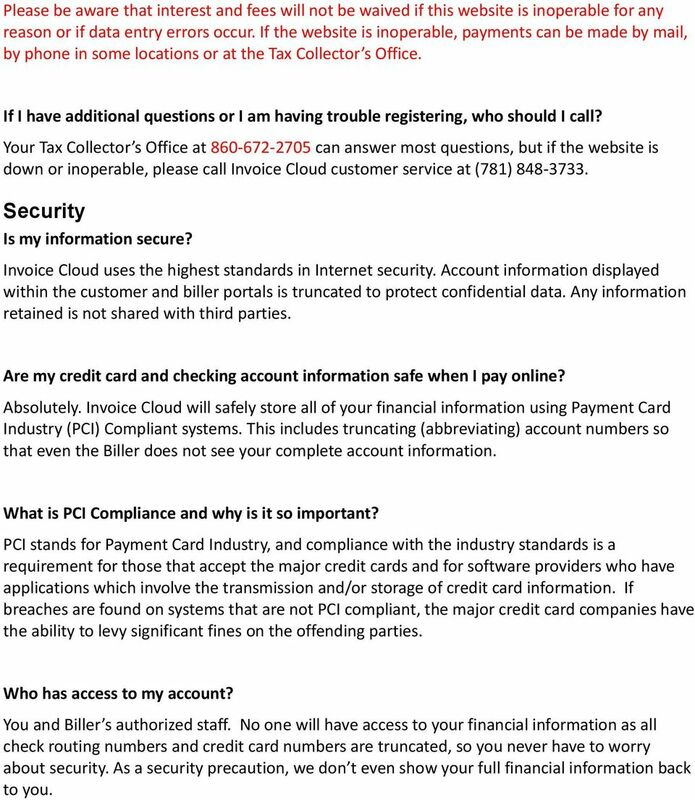 Your Tax Collector s Office at can answer most questions, but if the website is down or inoperable, please call Invoice Cloud customer service at (781) Security Is my information secure? Invoice Cloud uses the highest standards in Internet security. Account information displayed within the customer and biller portals is truncated to protect confidential data. Any information retained is not shared with third parties. Are my credit card and checking account information safe when I pay online? Absolutely. Invoice Cloud will safely store all of your financial information using Payment Card Industry (PCI) Compliant systems. This includes truncating (abbreviating) account numbers so that even the Biller does not see your complete account information. What is PCI Compliance and why is it so important? PCI stands for Payment Card Industry, and compliance with the industry standards is a requirement for those that accept the major credit cards and for software providers who have applications which involve the transmission and/or storage of credit card information. If breaches are found on systems that are not PCI compliant, the major credit card companies have the ability to levy significant fines on the offending parties. Who has access to my account? You and Biller s authorized staff. No one will have access to your financial information as all check routing numbers and credit card numbers are truncated, so you never have to worry about security. As a security precaution, we don t even show your full financial information back to you. Mobile Banking and Mobile Xpress Deposit Frequently Asked Questions (FAQ s) Questions General How much does this service cost? Is it secure? Which wireless carriers are supported? Do I need a data plan?